Don’t think twice while parking your car anywhere. 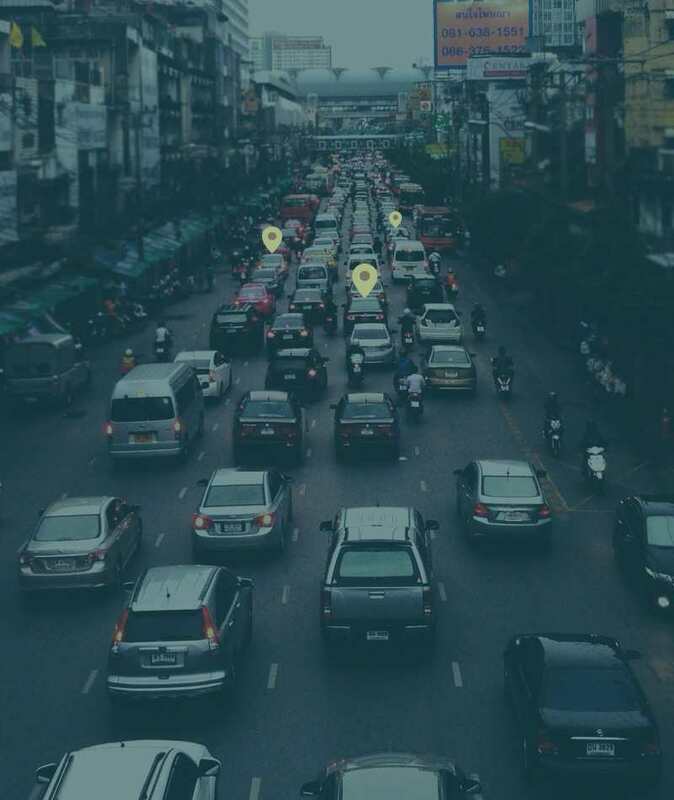 Track the location of your car from your office and get alerts whenever your car starts. LocoNav’s vehicle tracker and FASTag can help you to reduce a good amount of your vehicle’s fuel cost. Track the behaviour of your driver, reduce excessive idling time and save big on fuel cost. I bought a vehicle tracking system from a local vendor & was very disappointed. LocoNav's vehicle tracking system is very accurate. Vehicle theft is very common in Jodhpur. With LocoNav, I am able to control the ignition of my vehicles right through the mobile app. LocoNav makes life hasslefree. You generally do not get a good fuel and temperature monitoring system along with host live tracking in one app. With LocoNav, you do. Due to traffic congestion in and around Jodhpur, I wanted an app to keep a check on the timely delivery of my consignments with LocoNav's powerful app. Transporters in India are forced to run vehicles with extreme inefficiency and poor security. LocoNav is determined to change that. As you expand your business in the city of Jodhpur, we can be the one-stop shop for all your tracking needs. With LocoNav’s Vehicle Tracking System, your fleet can navigate through Jodhpur at ease. Follow metrics like optimised routing, engine health, fuel consumption, ignition status, and much more with India's #1 Fleet Management Solution. Keep an eye on your motorcycles efficiently with our Bike GPS Tracker. Track your friends and family effortlessly and be assured of their safety as they wind through the famous roads of Jodhpur. GPS Tracker for Cars: LocoNav’s Car GPS Tracker gives you accurate location and position of your car anywhere within Jodhpur. Whether your kids are to be dropped off/picked up from school. GPS Tracker for Trucks: As a fleet owner in Jodhpur, it is important that you are aware of your vehicle’s whereabouts. And LocoNav is here to help with our GPS Vehicle Tracker for Trucks in Jodhpur. The Indian government has made it mandatory for all the commercial vehicles to get AIS 140 certified vehicle trackers and emergency buttons. This will allow vehicle owners to strive to meet all the specifications that revolve around comfort, safety, efficiency and quality of service. And to partner with you on this journey, LocoNav provides you with government- mandated AIS 140 certified devices that come with the perfect blend of camera/satellite surveillance, emergency request and vehicle tracking. As the second largest city in the state of Rajasthan, Jodhpur is one of the most prominent tourist spots in the country. Because of its sunny weather all year round, it is also known as the ‘Sun City’. It has a scenic location to its credit, as it is situated just at the edge of the infamous Thar Desert. Jodhpur is lauded for its magnificent palaces and forts. It has a strong historic background to it, formerly being the capital of the state of Marwar. It is also known as the ‘Blue City’, since the old city is filled with houses painted blue. There are many prominent tourist spots such as the Mehrangarh Fort, Jaswant Thada, Umaid Bhawan Palace and the Clock Tower. Many colourful and lively markets adorn the city and are famous for their antiques. With a surge in industrialisation and economic growth in India, people are now gravitating towards vehicle tracking systems in India. The GPS vehicle tracker ensures smooth travelling for you as you journey across the city of Jodhpur. LocoNav aims to deliver a single platform to run your entire fleet operations through telematics. Our mission is to solve all issues that act as roadblocks for the fleet industry. We help businesses overcome hese problems and work as a one-stop solution for optimized fleet management.